A good rule of thump is to have approximately 6 months of expenses saved. 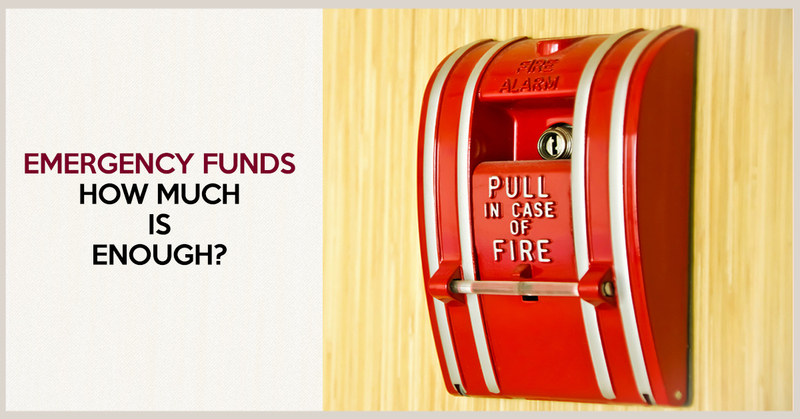 If you face an unexpected financial crisis, your emergency fund can help sustain you as you work toward bringing your finances back in balance. If saving six months of income seems an unreasonable goal, don’t despair. Start with a more modest target, such as saving $1,000. Build your savings at regular intervals, a bit at a time. It may help to treat the transaction like a bill you pay each month. Consider setting up an automatic monthly transfer to make self-discipline a matter of course. This material was prepared in part by MarketingPro, Inc., and does not necessarily represent the views of the presenting party, nor their affiliates. This information has been derived from sources believed to be accurate. Please note - investing involves risk, and past performance is no guarantee of future results. The publisher is not engaged in rendering legal, accounting or other professional services. If assistance is needed, the reader is advised to engage the services of a competent professional. This information should not be construed as investment, tax or legal advice and may not be relied on for avoiding any Federal tax penalty. This is neither a solicitation nor recommendation to purchase or sell any investment or insurance product or service, and should not be relied upon as such. All indices are unmanaged and are not illustrative of any particular investment.